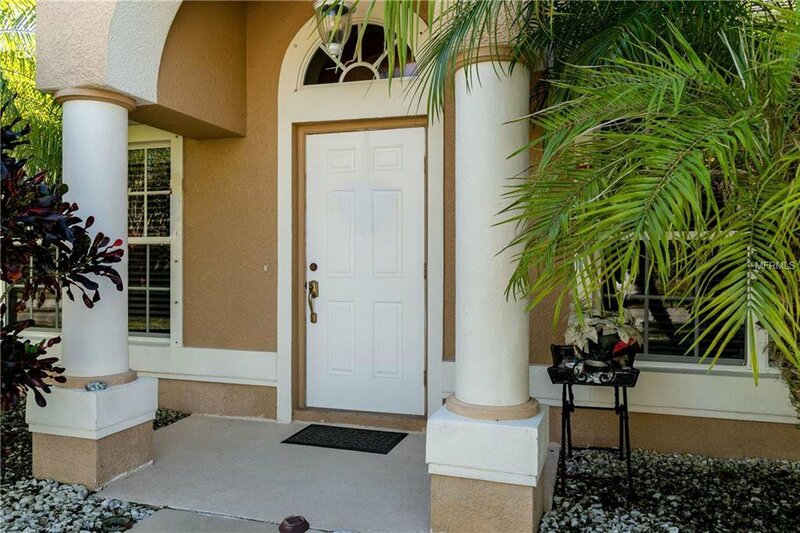 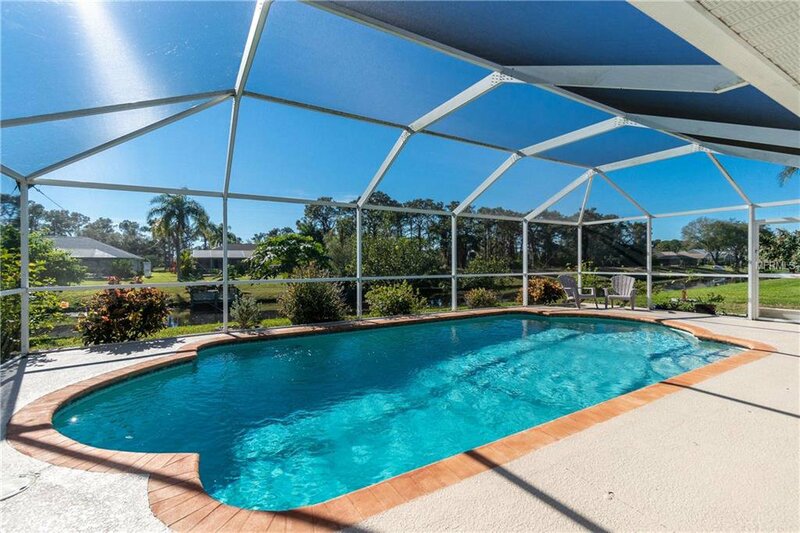 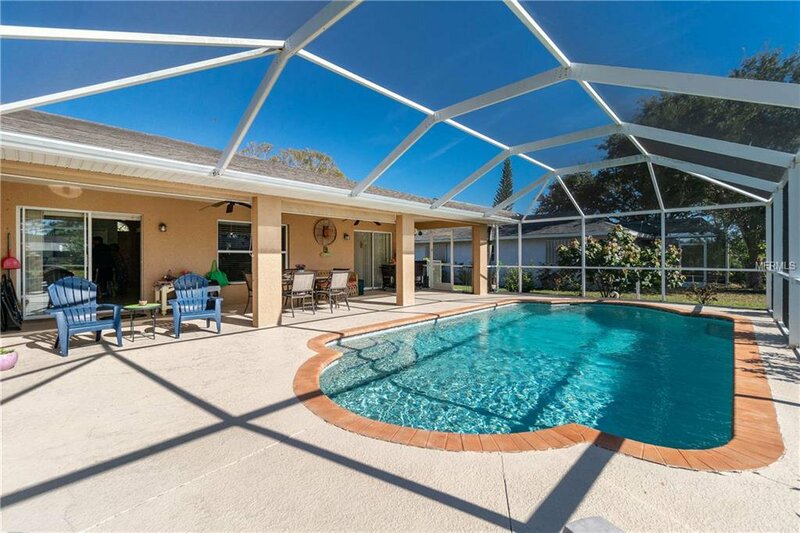 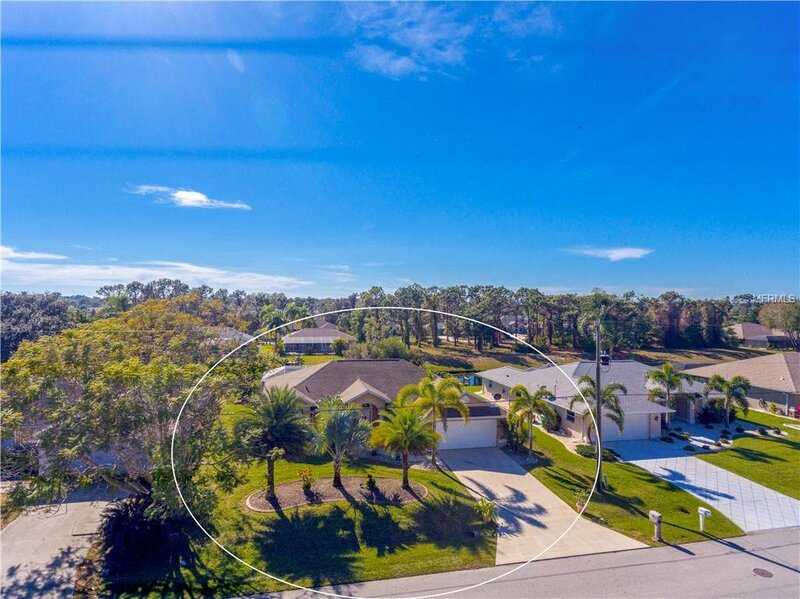 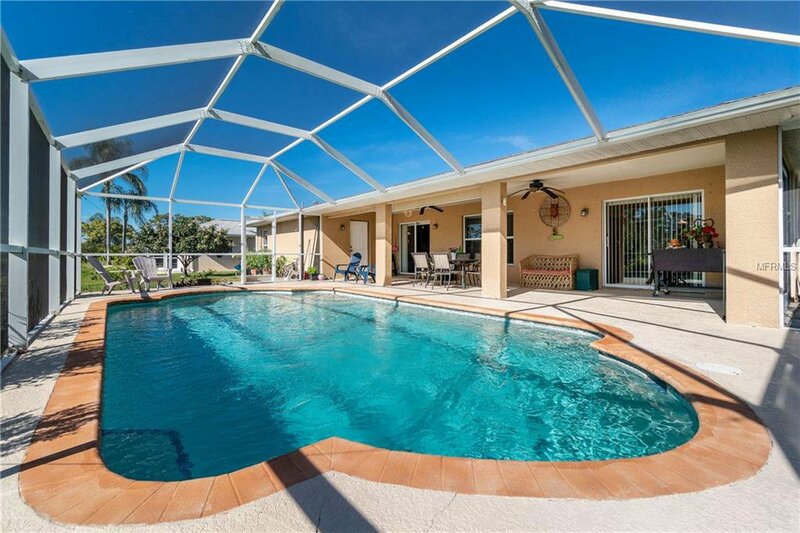 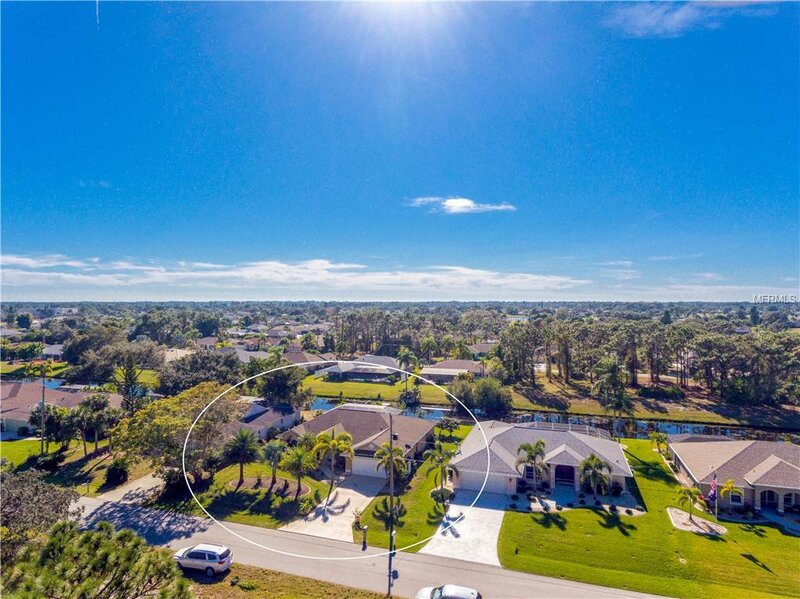 The serene setting of Rotunda West is the perfect place to enjoy the Florida lifestyle and this may be the perfect home! 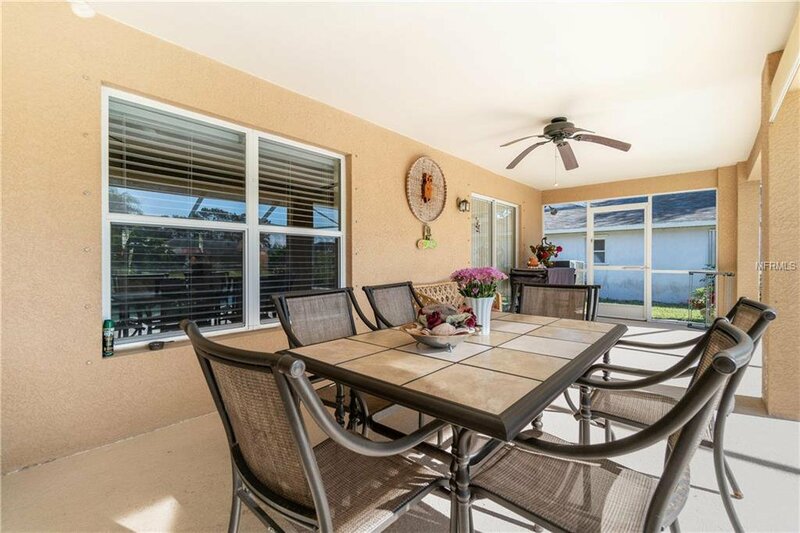 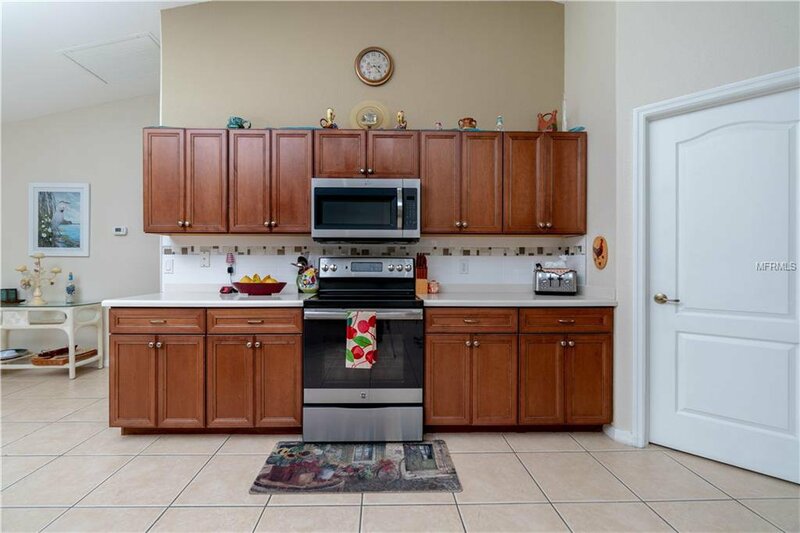 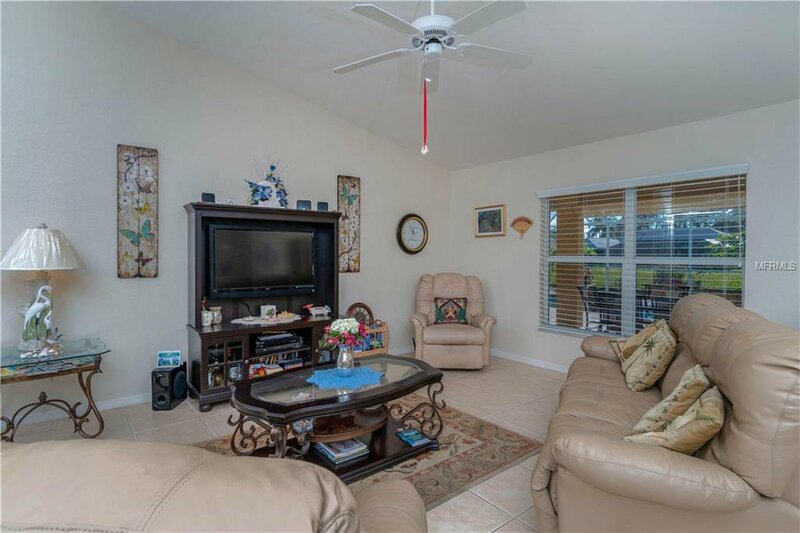 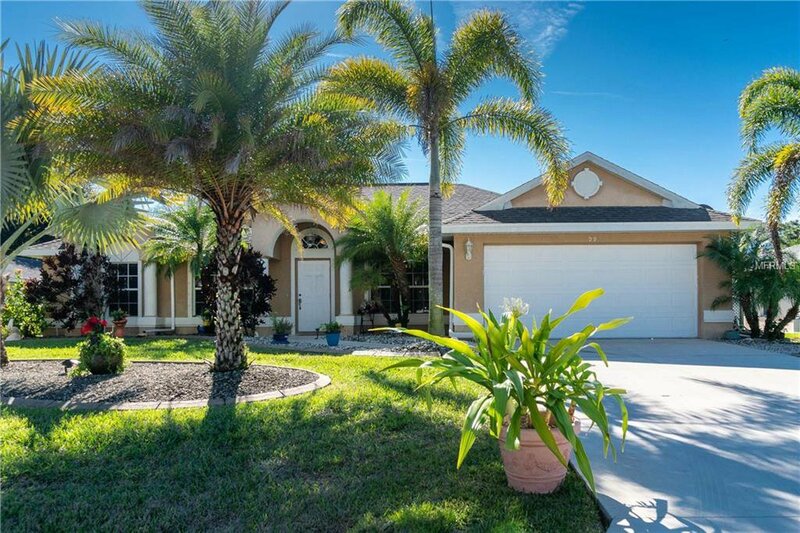 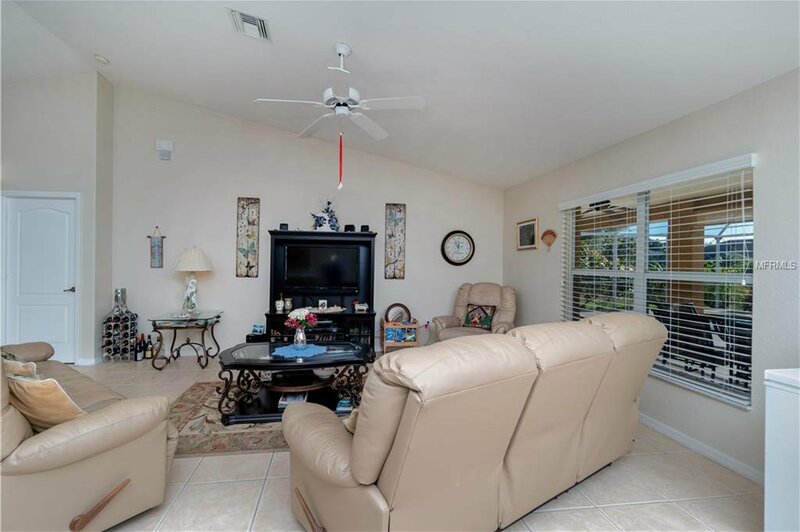 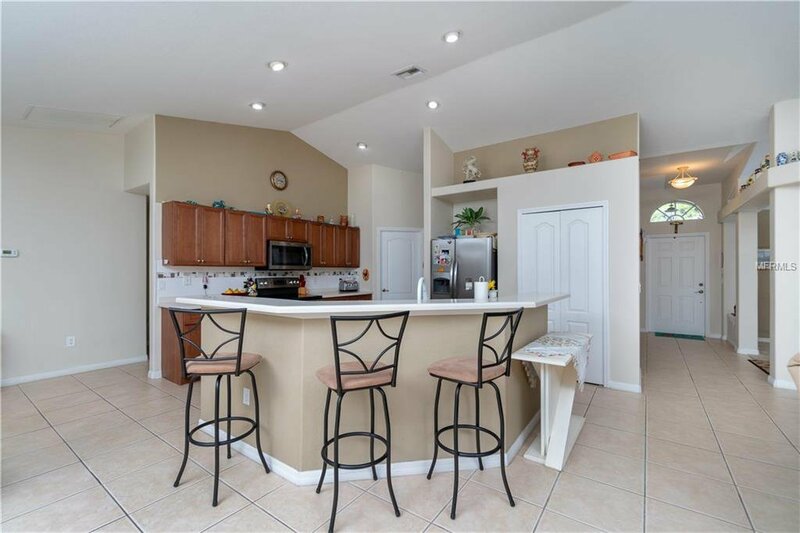 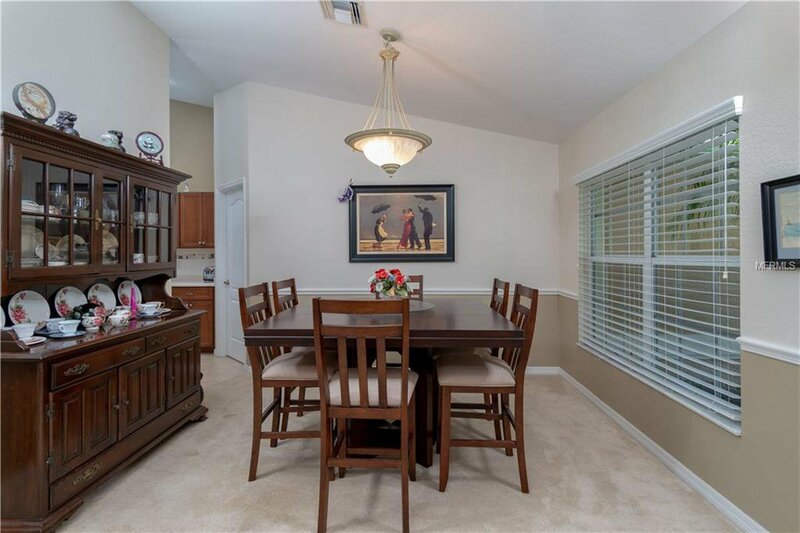 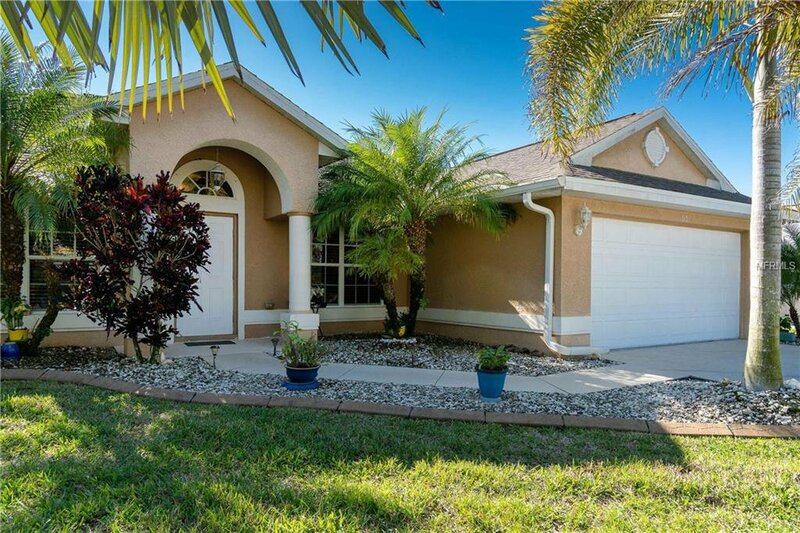 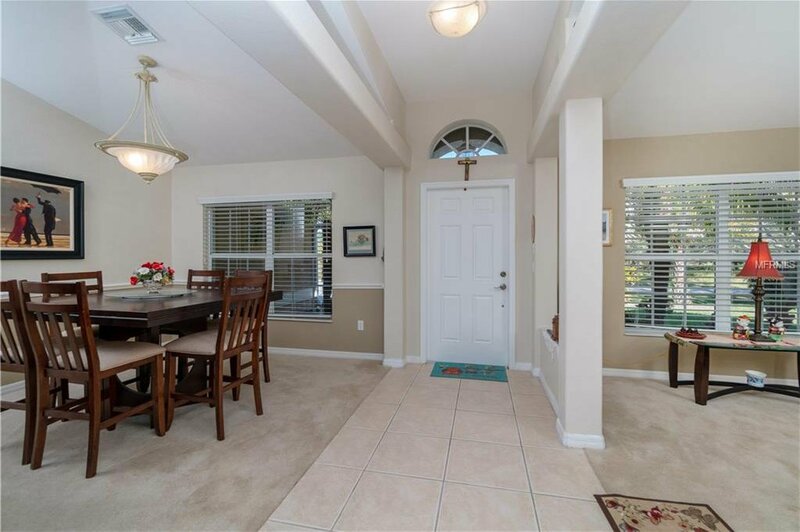 Open, airy, and spacious with vaulted ceilings and natural sunlight, this 4 bed 2 bath home offers endless possibilities. 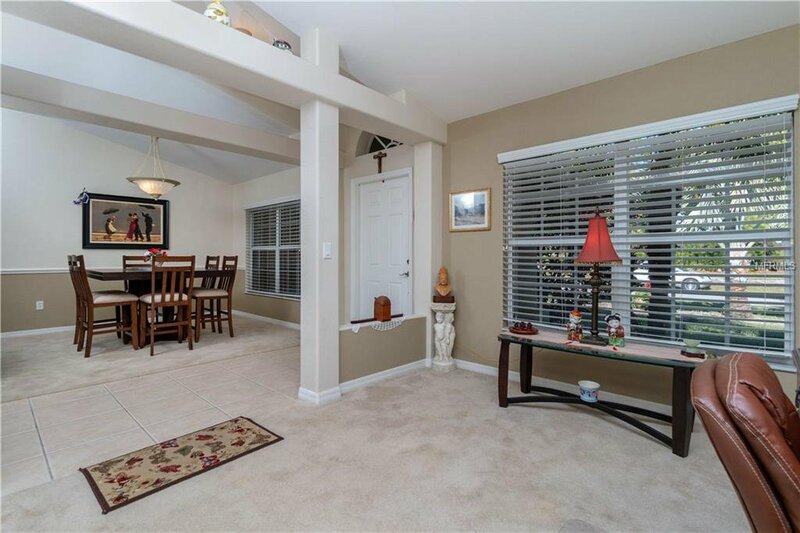 The entry way is flanked by two open rooms to be used as an office, den, formal dining room, or hobby room and is beautifully accented with finished beams. 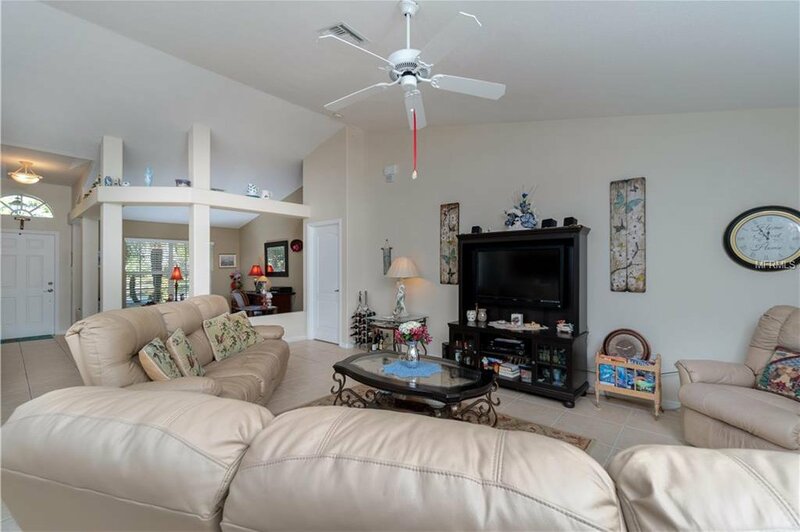 The open floor plan invites fun and family activity. 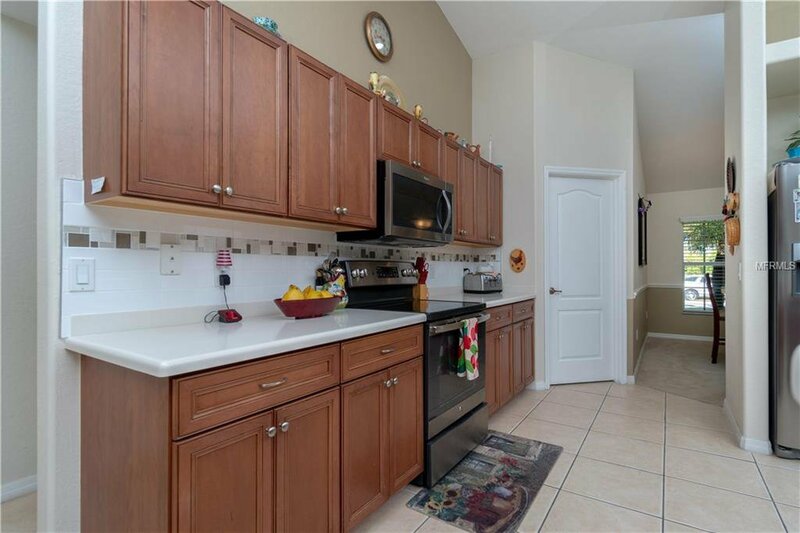 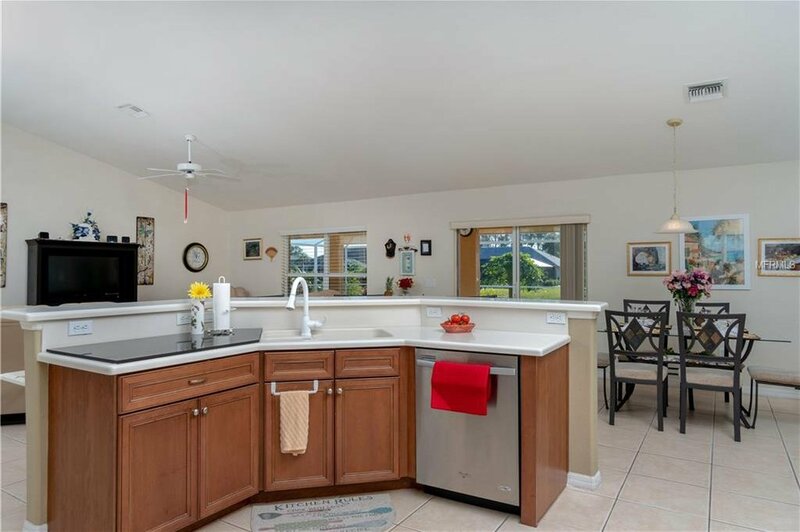 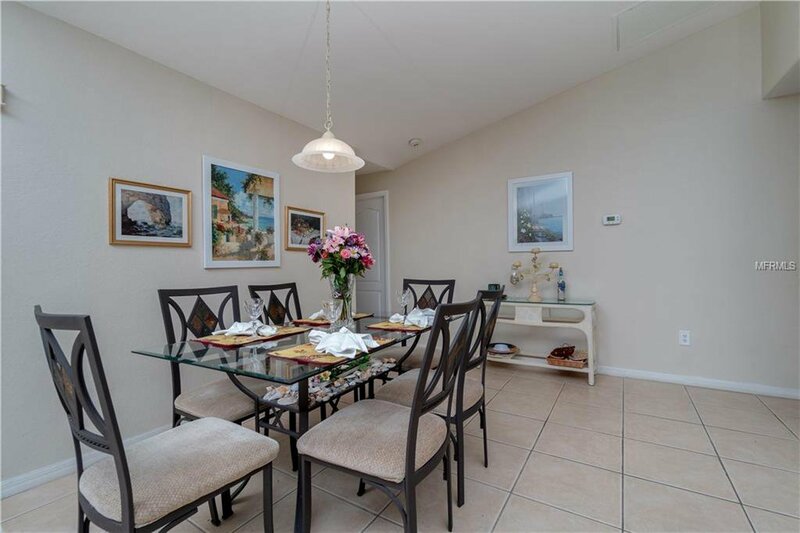 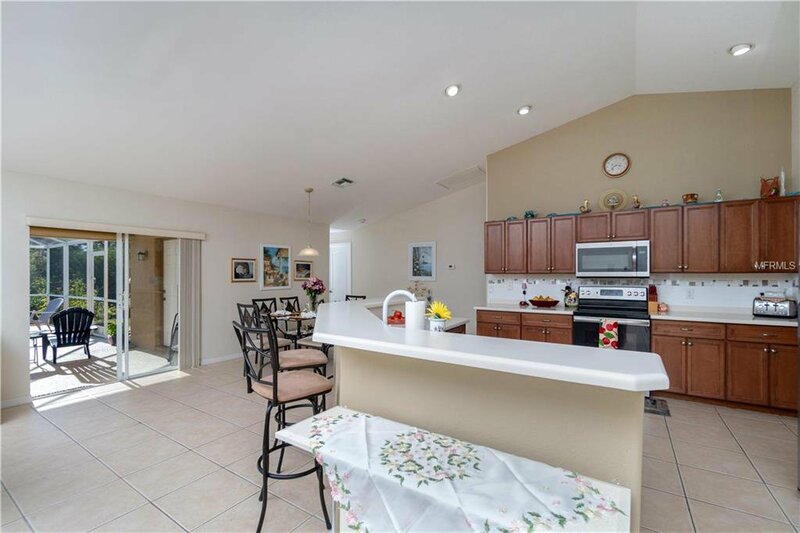 From the living room to the breakfast bar, the kitchen through the eating area, right out to the large and lovely lanai! 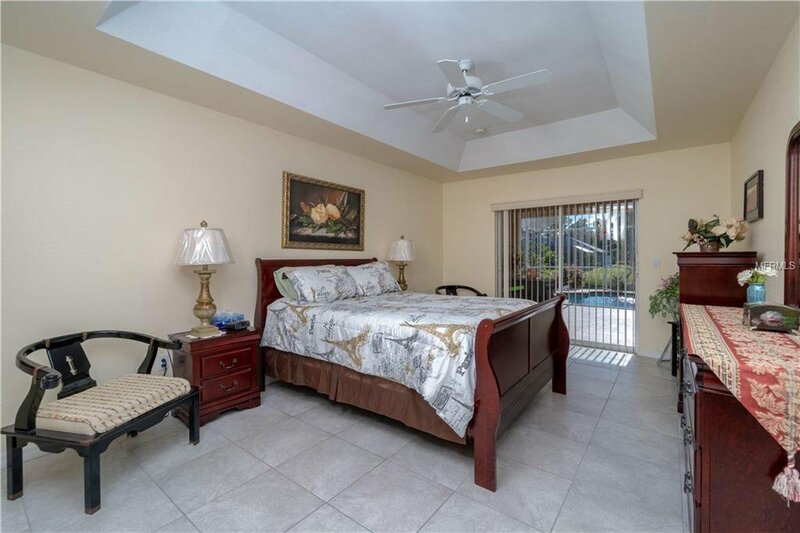 With a split floor plan, the master bedroom is quietly tucked to one side with dual sink bath and garden tub, two walk-in closets, and sliding doors leading to the pool. 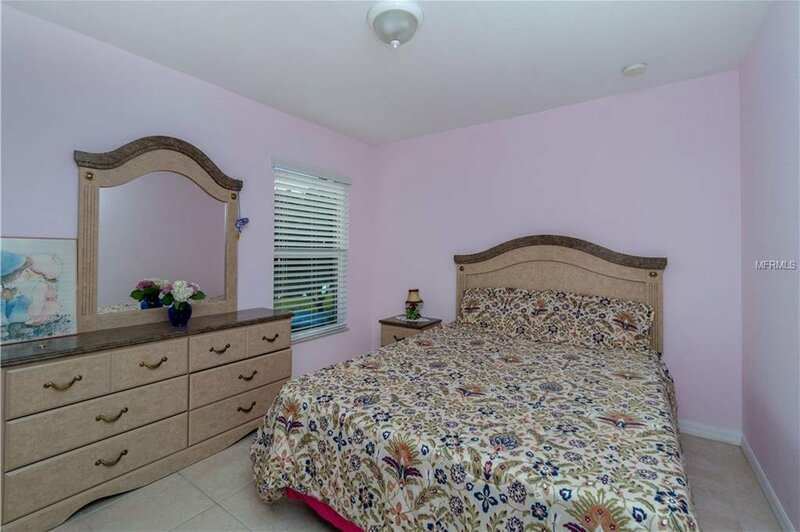 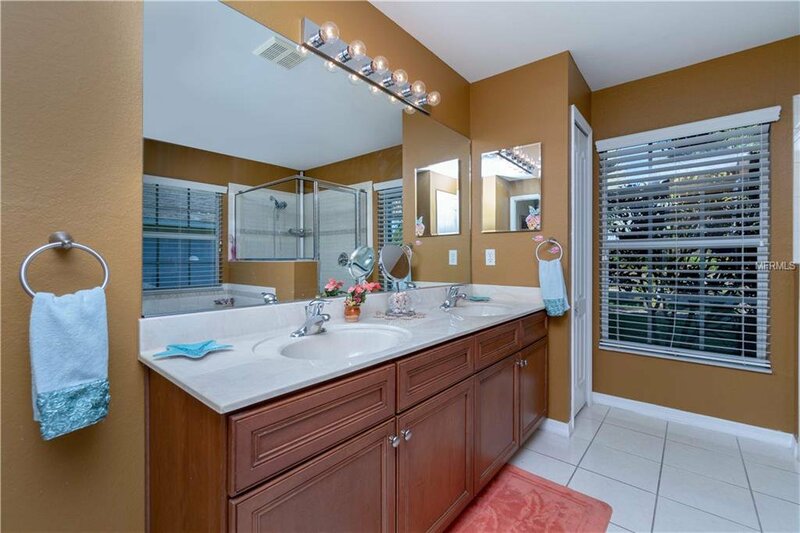 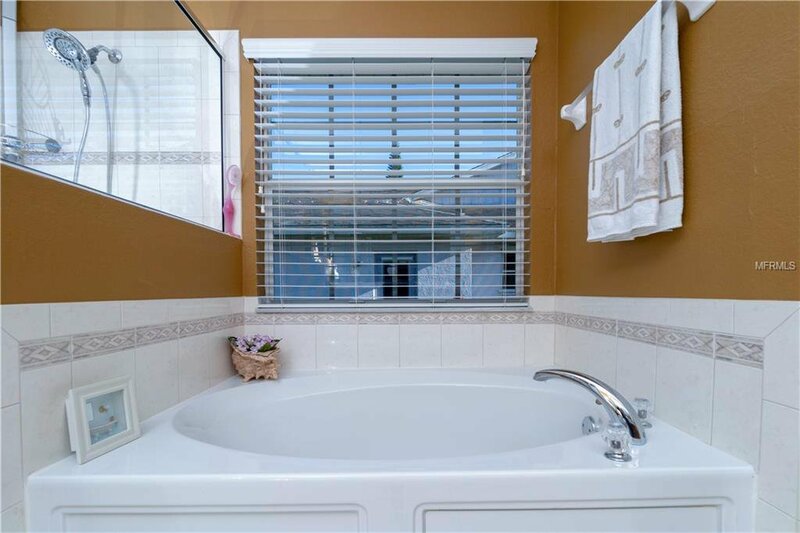 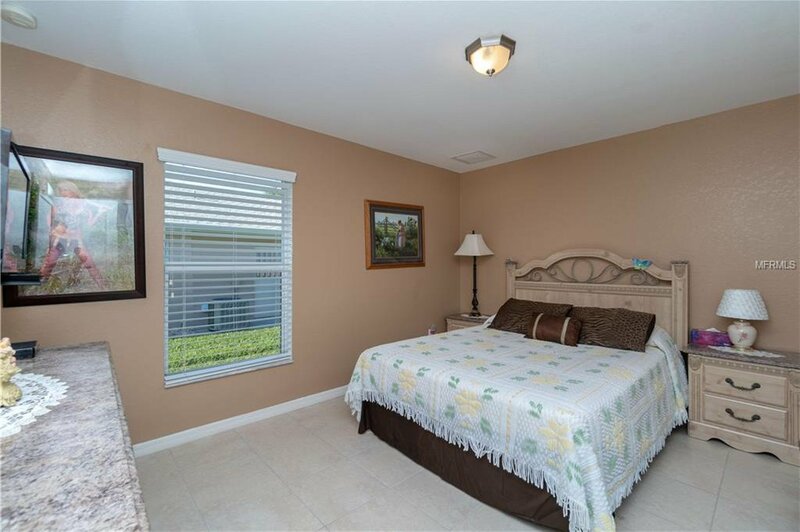 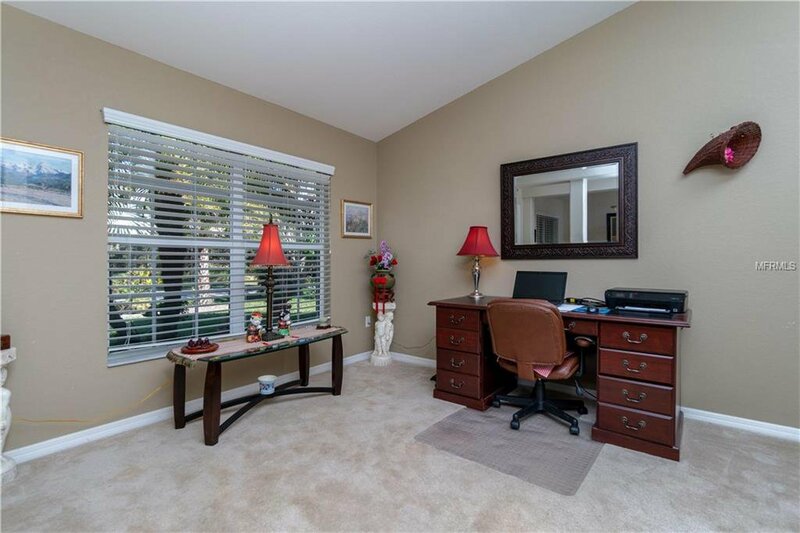 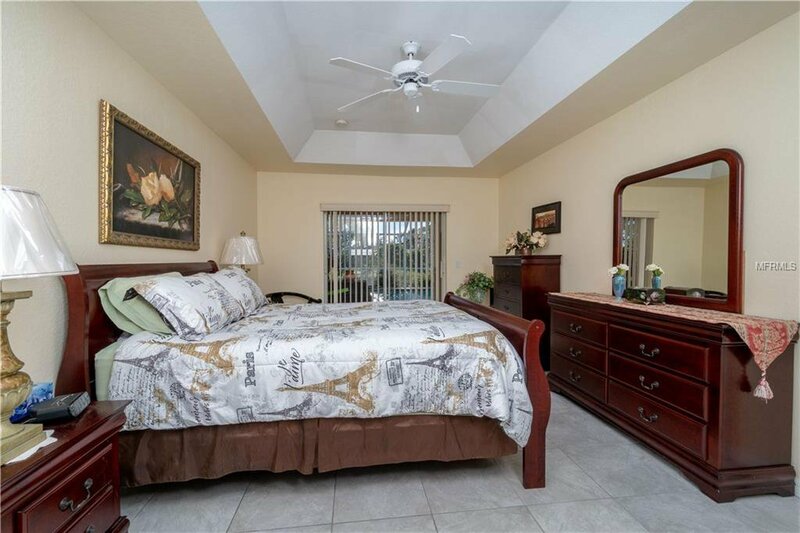 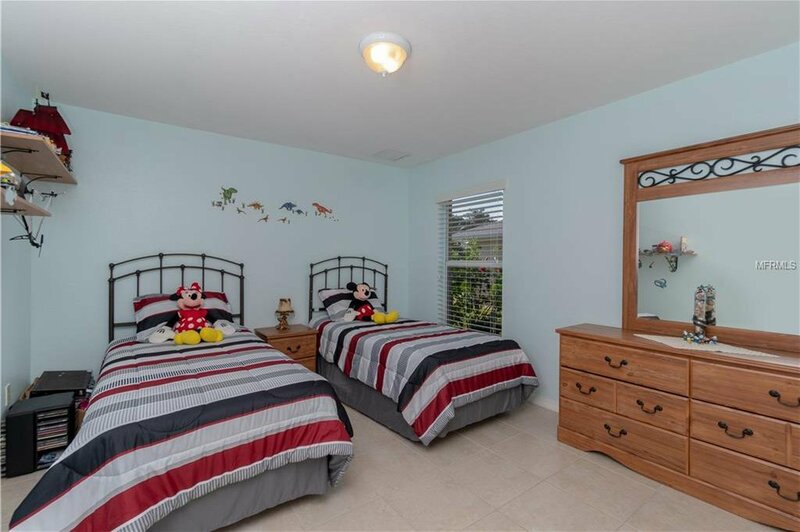 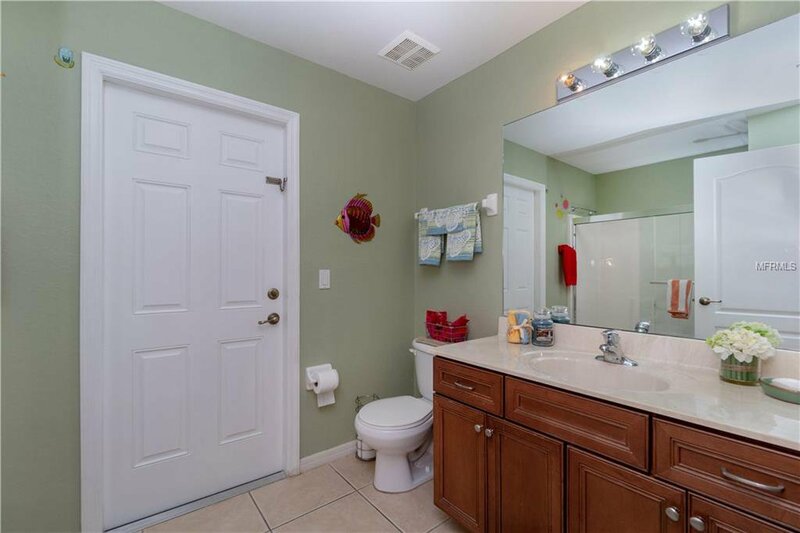 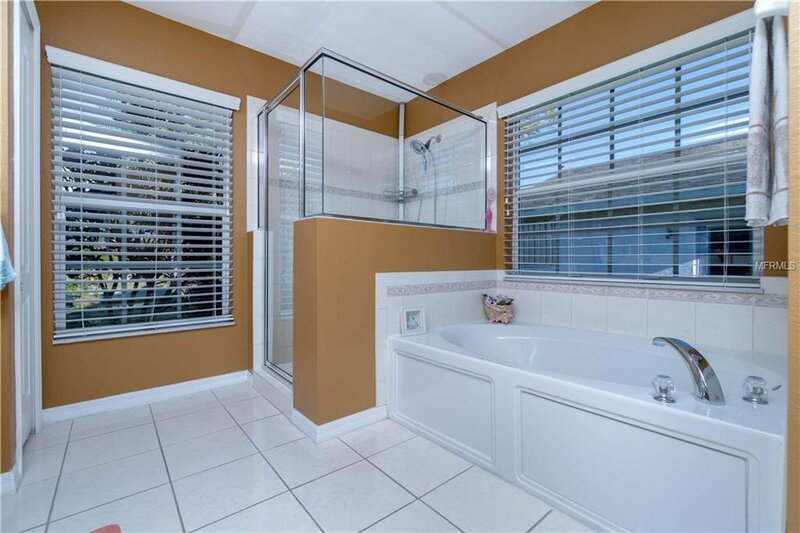 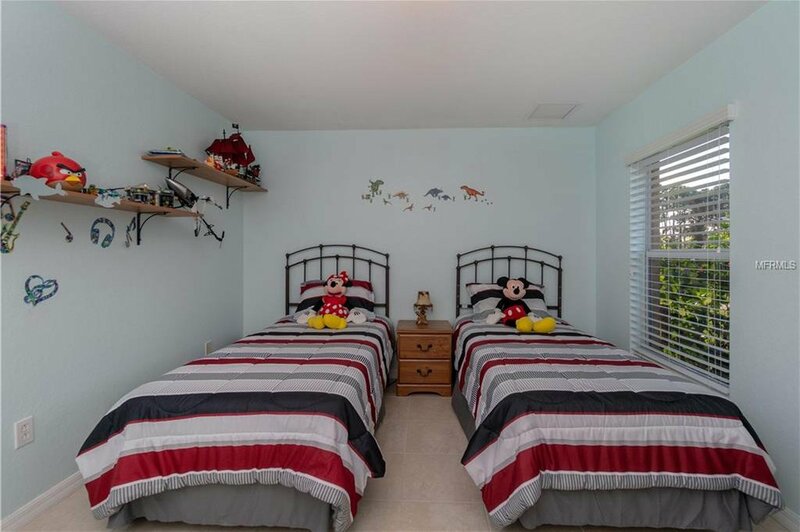 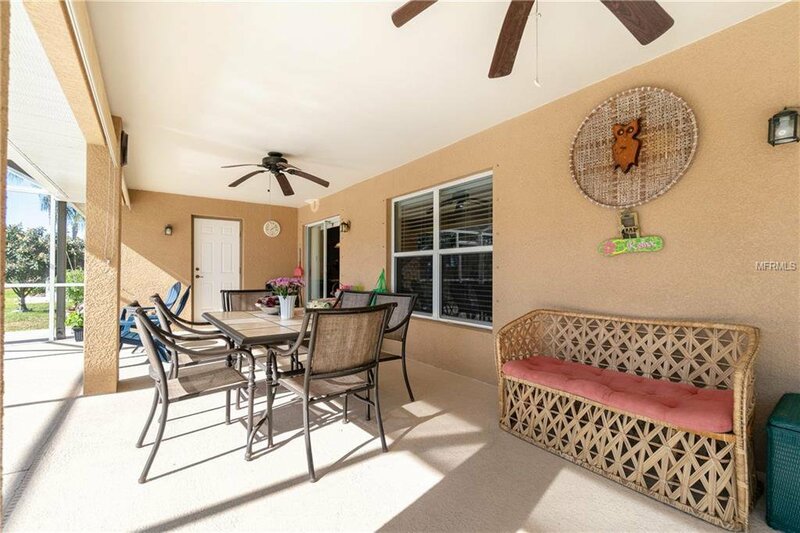 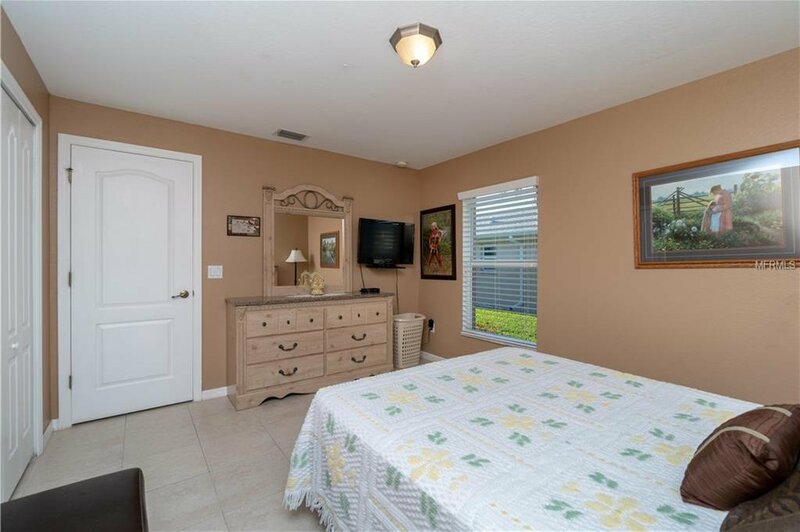 The three additional bedrooms have ample closet space and a shared bath that also has direct access to the lanai and pool, this is a must see home! 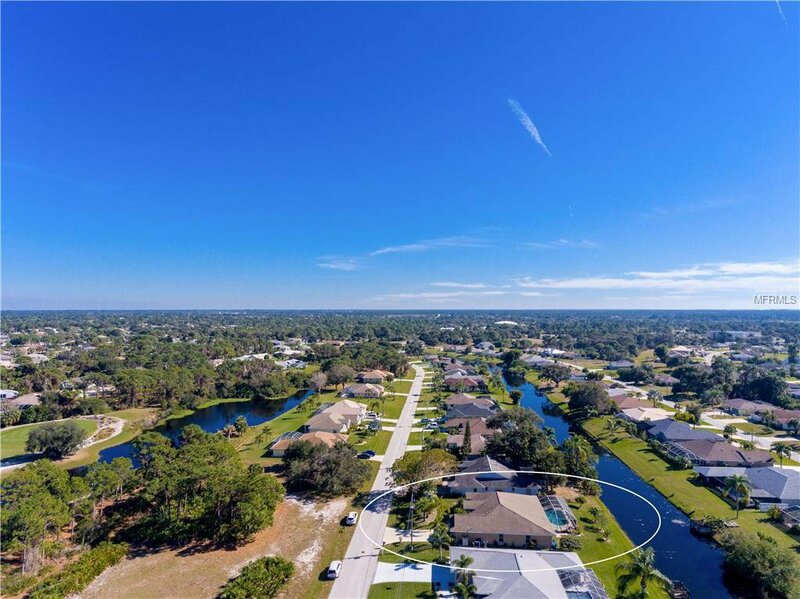 With multiple parks and Beautiful scenery you can enjoy Rotunda's wonderful setting everyday!